Moses Kavishe has been an active leader in a variety of areas. He is currently the Youth and Family Director at St. Paul Lutheran Church in Carlisle, Pennsylvania. However, his leadership started back home in Tanzania as Deputy Head Boy for his high school. He later moved to become Chairperson of Tanzania Youth Vision Association, an organization with more than 500 members across the country. When Moses first arrived in the United States, he didn’t know anyone. But he knew if he wanted to be successful, he would need to work hard and start building a network. Today, Moses recognizes his success has come through the guidance and mentorship of adults who believed in him. He wants to equip and empower and other young people with the same gift of caring adults. 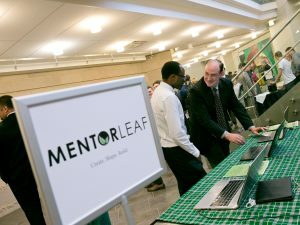 Mentorleaf is a professional online mentoring program designed to facilitate authentic relationships between Christian mentors and high school and college students. Late adolescence and the transition to college are full of possibilities for derailment, wrong paths, and overwhelming responsibility. It is easy to lose hope and feel lost without someone as a guide in these uncharted waters. 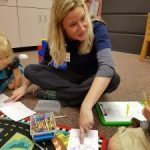 Connecting mentors and mentees will offer a clearer vision in their vocation, foster necessary career-focused soft skills, and empower students to make financially sound decisions around their education.